We included these tips before, but just as a refresher, here are our top tips to keep your AGB boats in top shape. Remove the floor boards, center seat and the seat backs from the boat. Wash the boat, inside and out, with warm water and Dawn for Dishes. Give the boat a coating of good liquid wax and buff it off. Refresh the natural Cherry trim with a deep penetrating oil. If the wood is looking a bit gray, turn your boat upside down and tape the shear of the hull to protect the finish and then very lightly sand the wood. 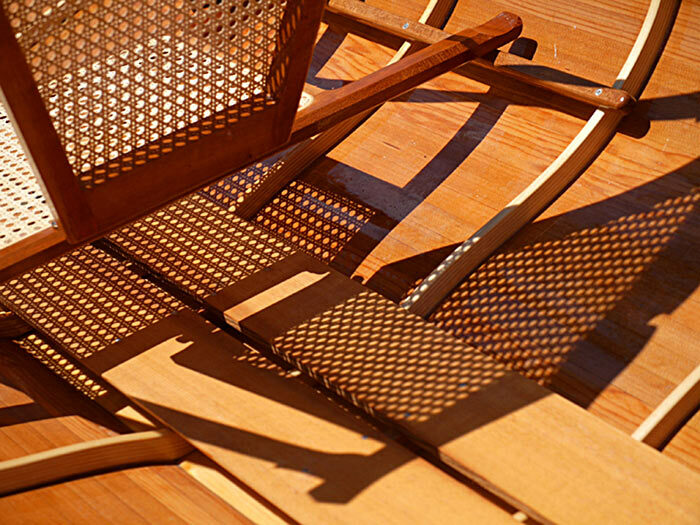 Sanding will remove most of the blemishes that occur in normal use. Wearing gloves and using a clean cotton cloth, apply a coating of teak oil and let it soak in for a few minutes then buff it. Turn the boat right side up and lightly sand and oil the gunnel trim. You can use the teak oil on the cane seats too. That’s really all it takes to bring that sparkle and shine back to your boat. By the way, if you oil the Cherry on your boat a few times a year, it will always shine like new. You have some great tips for boat care. I like how you said to apply teak oil and buff it. I’ve never owned a boat, but we are looking at buying one. If we do, I’ll remember what you said about the oil. I would like to keep the boat on a floating dock. Does the boat have a plug so rain water can self drain. If not can you turn it over i.e keep upside down on a floating dock when not in use. Out of curiosity, how much does a 15′ Guideboat weigh? Can one man transport it about 1/4 mile on a path through the woods? You can portage the boats with a boat dolly. We are starting to offer a lighter-weight guide boat that easier to carry. If you want to call my cell 802-793-3285 I can tell you all about it. I have transported my boat on an old Cannondale bike trailer. The large tires roll along nicely. I strapped one end of the boat to the bike trailer then walked along carrying the other end. The trailer takes more than half the weight leaving me with something very manageable. The boats are refreshingly light and I move it short distances without the trailer.